State 1 – Spirit: The body dies and the soul gets out. It’s innocent and confused, without understanding what has happened. (This is where Fran is now). 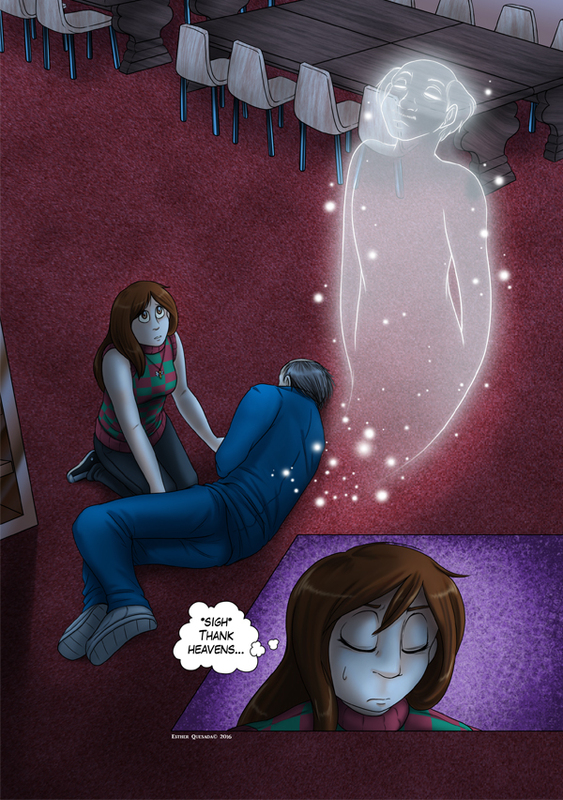 State 2 – Ghost: The soul has spent some time out of the body (this one dead or in a coma), aware of its situation but not knowing what to do next. If its saved by an angel, it can cross to the light. If not, it becomes a lost soul or is condemned to Hell. State 3 – Lost soul: A ghost that has been wandering on Earth for too long, alone, with nowhere else to go and corrupted by pain and sadness (Aaron was a lost soul – Chapter 3). This kind of soul can go back to the light if it’s not too late. I hope it’s a little clearer now.